with a zeal and passion for acting...A charmer...with an alluring smile..
with his creative excellence.. ..and his wit and humour..
every character becomes a master piece in your hands. Though he IS a superstar yet he doesn't think of himself as one. He has exhibited his versatility by playing characters in a variety of genres. Rab Se Sona Ishq,Siya Ke Ram,Prithvi Vallabh have earned him accolades and praise. He has received awards for his excellent work and lifelong loyalty of his fans for the same. He ascribes his achievements to intense preparations that he does for every role. He involves all into it...mind ,body and soul.. He applies himself to it, does workouts, and eats right. He fully focuses on the role in hand with grit and determination which multiplies his efforts manifold. what an achievement at this young age !! when he is choosing a role.He thoroughly enjoys the process and the work. His eagerness and excitement when he experiments with his roles is contagious..
And the viewers are treated to a layered character who breathes life into his performances. With every role he has evolved ...he has learnt to look more and more inwards. As fans we couldn't have asked for more. In a nutshell he is the epitome of happiness for us !!! Hey AS !!! Wish you A Happy Happy Birthday !! Have a fabulous birthday and a great life ahead !! the happiest moments and the best of all that this world has to offer !!! It was just like any other day in Vaikunth. The Divine Preserver Lord Vishnu was looking over at the universe with his beloved Lakshmi by his. It appeared as if the Lord was lost in some thought.All of a sudden he started smiling.This arose his wife's curiosity. Lakshmi Mata : May I know the reason behind this rather sudden smile my Lord? Lord Vishnu : Do you know what is the significance of today's date Priye? 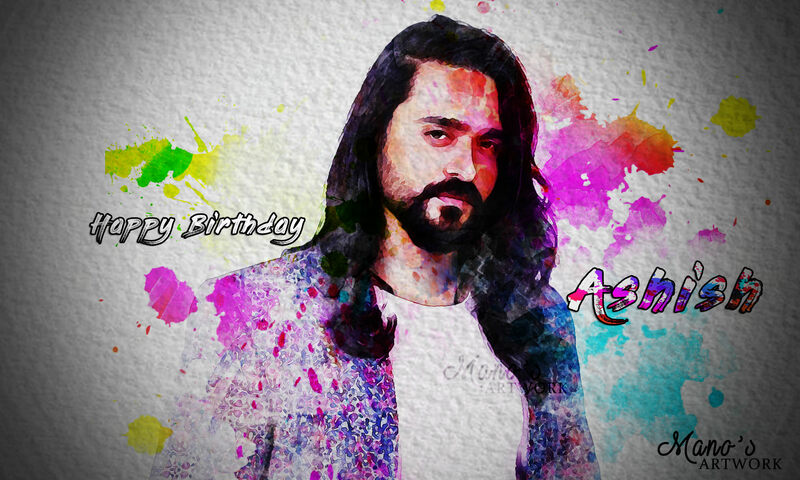 Today is Ashish Sharma's birthday. 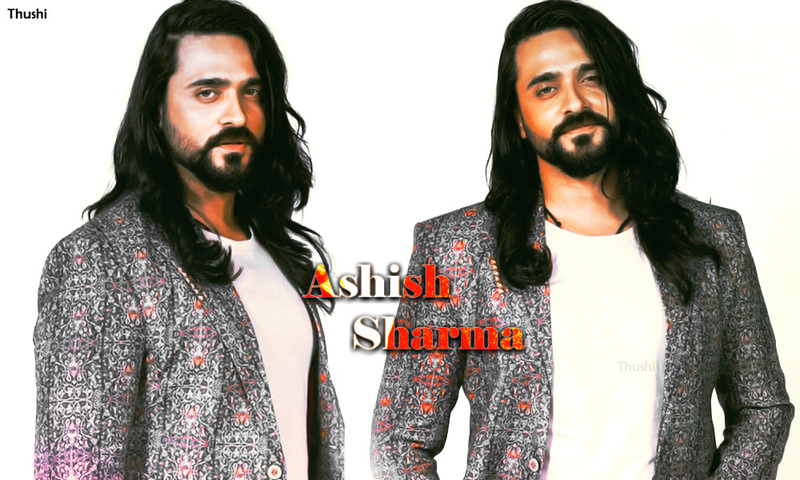 Lakshmi Mata : Ashish Sharma...okay the Ashish Sharma who portrayed you and your Ram avatar in a tv series called Siya Ke Ram.I remember that show. Humans are truly our best creations.The television series which they make are amusing. It is interesting to see how our children interpret us. I rather enjoyed Siya Ke Ram a lot. Ashish's portrayal of you was praiseworthy. But why are you so interested in his birthday Swami? Lord Vishnu : One thing which I have observed about this child of ours is that he has portrayed a variety of characters in his career.Every character had his own story and differed from the previous characters.You already know how I feel about Ashish playing me But I was just wondering what if those characters actually existed.Have you ever thought how they would feel about Ashish portraying them? Lakshmi Mata (smiles): Swami,this is definitely one of your leelas.I am looking forward to see how it unfolds. Lord Vishnu : I thank you for this Priye.However I will need Chitragupt's help for this. Chitragupt : Prabhu!!!! Why didn't you tell me that these characters will be coming with their background music?!!!!! An SUV drove into the field in super fast speed and before Chitragupt could say anything,a man lept out of it wearing aviators. The background music got louder. Chitragupt (checking his black Ipad) : Now let me see who this one is.Ah!! Avdesh Singh Thakur from Ashish's first show Gunahon Ka Devta. Avdesh: Jai Bajrangbali!! Can you tell me where am I? I was driving so fast to reach here.The last time I drove with such a speed was when I had to stop Arpita's wedding. Atleast there is no gate in this place. But who are you? Avdesh : Hain?? What song is this? I am liking it. Chitragupt(frantically checking his Ipad) : Oh no!! Why is he here so early? A duststorm arose and a man was seen galloping through the storm on a horse. Chitragupt was bewildered. Avdesh was looking impressed. Slowly the man's became visible as he got off from the horse. Chitragupt : Behold!! Samrat Chandragupta Maurya. CGM : I should be asking the same to you!!!! Chitragupt : Boys!!!! I will explain everything.Just wait for the others.Oh no!!! They will be arriving with their BGMs too. Chitragupt : Wait!! Why is this song being played?? It's not even the title track of any of Ashish's shows. Avdesh(pointing towards something) : Who are they now?!!! CGM and Chitragupt looked over to see three men walking in style towards them.They were dressed differently but had one thing in common.All were splitting images of each other. Ranveer : So how did you like my idea of using this song for our grand entrance?? Fateh : Yes!!! It was all his idea.I had a completely different song in mind.And this Jeet supported him too. Jeet(irritated) : Can both of you just stop now?! Both of you wanted this song.I had nothing to do with this.Why couldn't you listen to me just once and play that song by Chainsmokers?!!! Avdesh and CGM are staring with their eyes and mouth wide open. Chitragupt gives a sigh. CGM : Can anyone please explain what is going on?! Is this Acharya's new yojna to protect me?! Just like there were seven Dhananands he created my lookalikes too??? Acharya should have told me. Avdesh : I know lookalikes exist coz Pihu was Arpita's lookalike.But no one can be like Arpita. Fateh : Bro we will explain everything.Just wait for the rest. Chitragupt we will take it from here. Chitragupt : Thank Narayan for this mercy!! Jeet(with a soft whistle) : He is here. Avdesh : This song is so beautiful. Ranveer : I was so looking forward to this. Another sandstorm rose and a jeep came in tearing it apart.The man who emerged from it was dressed in an uniform and his eyes were filled with fire. But that face was unmistakable. Rudra(looking over at the rest of the people): So this is all real isn't it? I am used to weird things but even for me this is unbelievable. Ranveer : Finally we meet Major Ranavat!!! I was curious about you ever since I heard of you. Fateh : Okay everyone so let me explain the matter here first.Avi and Chandu are already confused like anything. Rudra : Wait Fateh!!! How can you forget HIM???!!! Avdesh: Is there anyone left?!! Rudra : Of course.The one and only. Everyone was looking over at another figure walking towards them with a magnificent aura. He had long curly hair and he looked every inch a king. But what differentiated him from other kings was the Ektara he carried with him. Prithvi : Thank you Rudra.I apologise thoroughly, I got lost in the world of music while playing my ektara. Am I late? Ranveer : Trust me bro!! We couldn't have begun without you. Which reminds me that Fateh can you please tell everything or should I do the honours?? Fateh(takes a deep breath) : So where should I begin from? CGM : So you are trying to say that all of us are fictional characters from different stories and we are played by one person named Ashish Sharma and that's why we resemble each other? Fateh : You're right Chandu. Though it's slightly different for you and Prithvi over here. You see both of you are historical characters so we can say that you are a version of a person who actually existed. Its so complicated right now. But it's more or less like that. Prithvi : Yes Samrat Chandragupta Maurya. If we consider the facts then I came much after you both in history as well as in Ashish's career graph so I have immense respect for you. CGM : I feel the same for you Prithvi. I feel a certain affinity with you even if I am seeing you for the first time. Jeet : What a unique bromance this is gonna be!!! Avdesh : But for what reason have we all gathered here?! Fateh : It's Ashish's birthday!!! We owe everything to him.Therefore we were all brought to life in order to wish him. Ranveer : Yes but why did that Chitragupt choose you to tell this out of all the people? Ranveer : Now don't get me all angry on you!!! Sahiba loved me okay? Jeet : You both died okay??? She ended up with no one. Ranveer and Fateh : Shut up Jeet!!! Rudra : Stop fighting guys! We are here for Ashish!! 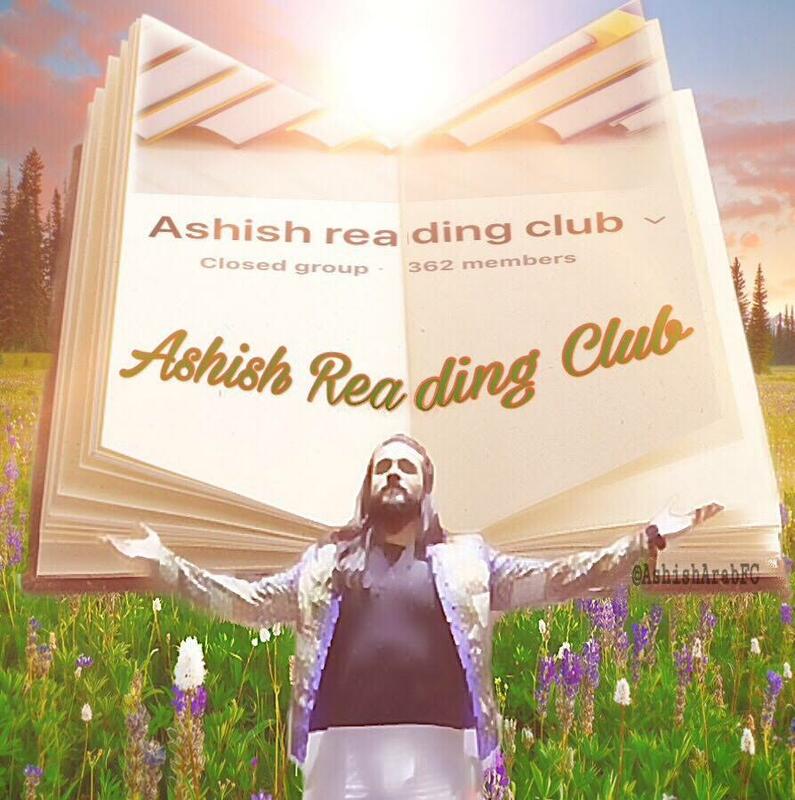 Prithvi : Rudra is right.For what reason are we all fighting when there is no basis for that?Infact I am grateful to Ashish for enacting all of you because I could make so many wonderful friends in you all who are so different from each other and are yet beautiful and special in their own ways. Chitragupt: Wait!! He hasn't arrived yet. Everyone in unison : Who is it now?? Ranveer : You are THE RAM???? Prithvi : My guess was right. We can't tell you what an honour it is to meet you my Lord. Prithvi : Seriously Ashish is one of his kind.I am never going to forget this experience. Avdesh: It's Ashish's birthday no, so has anyone bought gifts and cakes for him? Chandragupta: What is a cake? My Acharya hasn't taught me anything regarding it! Prithvi: What's the syllabus in your school? Prithvi: That's great! But don't you think your school should promote Art and Cultural of India? Give me Acharya Chanakya's WhatsApp number. I want to discuss regarding the reform of India's education system! Prithvi: Yes FB ID will do. Avdesh: Samrat you both are diverting from the topic, we need to focus on Birthday celebration! Ranveer: Oye Fateh if I am not wrong you are also his father ! Rudra: All fathers are same! At least don't act like Ranavat! I have bought candles, gifts and cake. He lights the candle and keeps the gift box on the table. Fateh: Such irresponsible guy he is! Ranveer: Thank you Prabhu Shri Ram!! Jeet: If he is child then what am I? Rudra: Still Sahiba left you right? Chadragupta: Where is Prithvi ? Prithvi: Here I am friends! Prithvi thinking in his mind: Thank God noone could guess that it was me who disguised as Dharti phew!! It was all so strange and it felt so unreal.Everything had fallen into place and yet everyone was wondering whether what they heard was right or not. 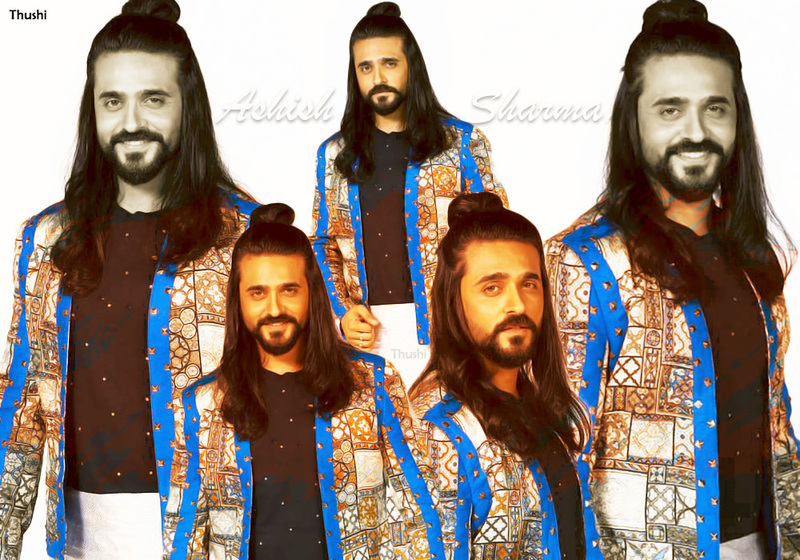 All the characters had come up with some wonderful speeches to wish Ashish Sharma. Prithvi and Ranveer start playing their Ektara and Guitar to provide the Background music while others gave their speeches. Jeet : I know that whatever time you spent with me was less as compared to the others.But I can't thank you enough for portraying me and breathing life into my love,heartbreak,pain and sacrifices.Happy Birthday Ashish!! 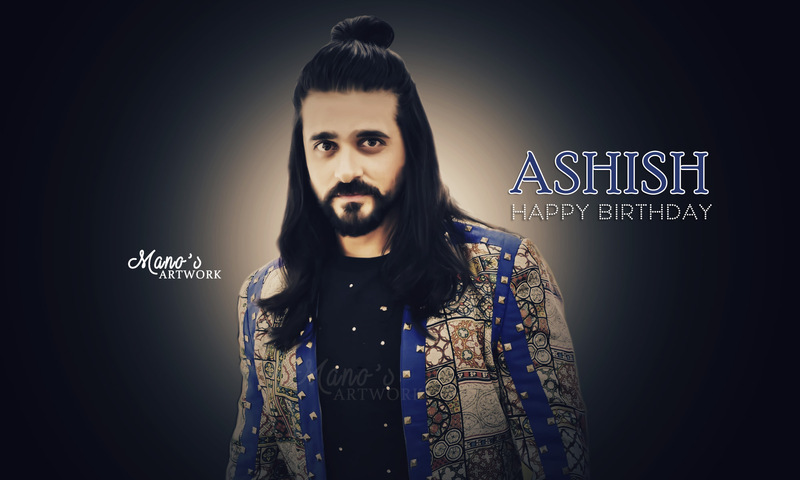 Fateh : Happy Birthday Ashish!!! I know I am really cool but you know what bro?You made it that way.I hope you enjoyed playing me.I am sure it must have been fun. Ranveer : My entire life was filled with ups and downs and my character changed too.I had my own dark side and I had to battle my demons.I have loved to the full and I have seen the best and the worst of what life had to offer.Being with you is an unforgettable journey bro.Happy Birthday Ashish!!! And thank you for giving you 100% into portraying me. 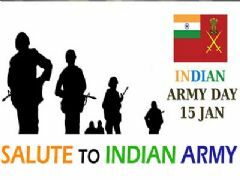 CGM : Every action I ever took was for the betterment of my country and for my Guru.From whatever I have come to know of you,you have been a really good student to your teachers,a worthy son and a worthy citizen too.I am proud that it was you who portrayed my character.Thank you for being yourself Ashish!! Wish you a very happy birthday!! 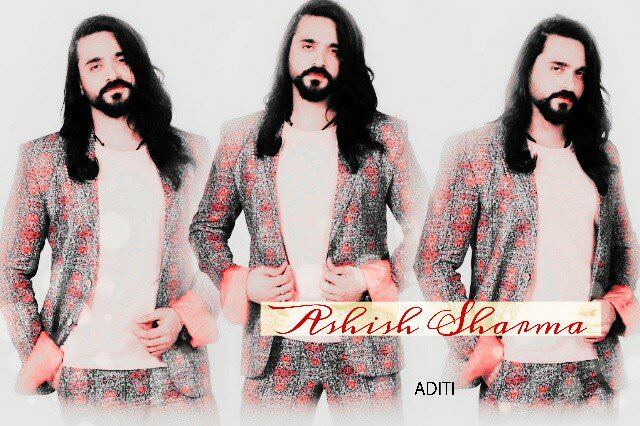 Avdesh : The rest have already said everything.Ashish,I want to thank you for projecting the simplicity of my character and as well as the complexity of the situations in which I was put into.Thank you for walking in my shoes and thank you for feeling what I felt.Thank you for bringing my love and devotion for Arpita onscreen and thank you for becoming Bhaiyaji whenever you came onscreen. 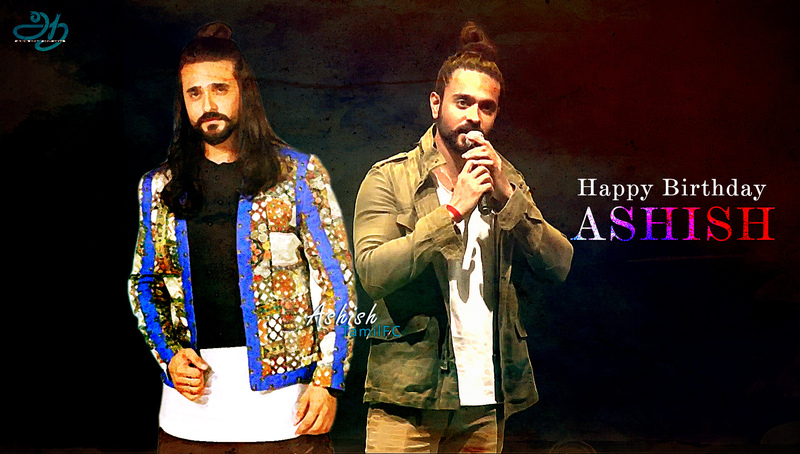 Happy birthday Ashish and best wishes for you!! 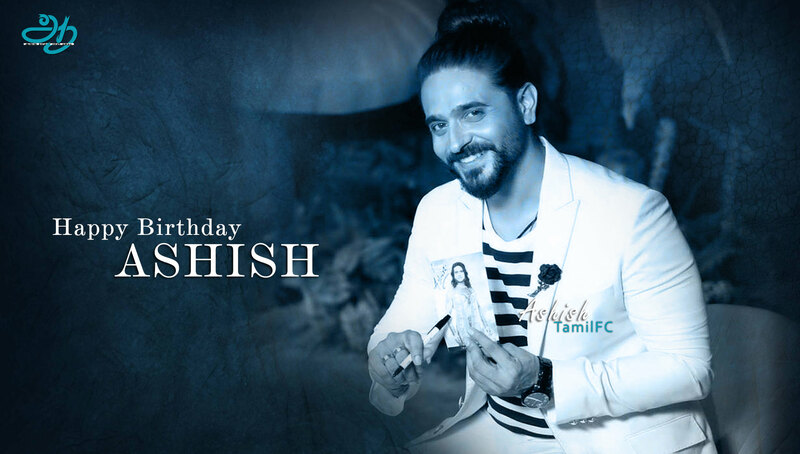 Ram : Happy Birthday Ashish and I wish you all the best!! Many people have portrayed me onscreen and many more will do in future but you have a special place in my heart.I wish you happiness with my whole heart and Sita,Hanuman,Luv-Kush and Lakshman also send you their wishes. Prithvi : Dear Ashish,thank you for playing me and understanding me like no one else has done before.Thank you for connecting with me and my love for poetry and art for you too are an artist to the bone.Never let this flare extinguish.Above all thank you for bringing me to life and giving me a face.I wish you all the health and happiness and I love you right back.Jis kalakaar ki kala dil main prem aur anand bhar de use prem main Prithvi Vallabh hai. Chitragupt : Your leela was aprampaar Narayan.All the characters wished Ashish and went off on a picnic to know each other and Ashish better. I will say it was a good idea.A bit exhausting for me yes.But good. Lord Vishnu : This is not the end actually. Ashish still has a long way to go.Many more characters will come and go.Its a part of his journey.And I know it very well that he won't stop at one place or at one character.He will keep evolving. Thats why I wish him happiness for this birthday and many more to come. yes ...in all possible colours.. I knew where I was...yeah !! He got it...four tails wagging in unison..
with a generous helping of tasty chunks...a cake for dad..
Kranti had fixed his squeeze chicken toy on the top as a cherry...how inventive..
Toofy had a blue slipper ...well chewed and mushy...to be used as a knife.. He felt the earth moving from under his feet... Horror of horrors !!! holding a rather large box... full of goodies ??? they remembered his b'day...they had got him a huge gift !! Awww !!
" Sonny...for you...with all our love "...they said smilingly..
AS held the box precariously...over whelmed.. He had a smirk on his face...his left eye brow went uppp"
" And look at my physics sir !! Always after matter and energy !! How all my energy drained out of my veins!!
" They must be regretting their mistakes..I think I should forgive..
make peace and check what have they brought,AS muttered to himself. Toofy was fascinated...he realized his dad had played games in class.. But not in the grid...why...?? He threw them inside the khazane ki peti and banged the lid shut!! packed in a bright red paper it looked interesting...what was that small thread..?? AS was a lil suspicious when in a silky voice the Principal suggested..
AS was enraged !! Aren't you supposed to forgive n forget !! Unforgiving fellow!! Hello AS,lead us to your phone !Will you ?? They hid an evil smile under their whiskers...for they knew whom to follow now...step for step..
and called the fangaalz in.. He was safe...he was happy..with a grin spread across his face.. I felt the earth rumbling...something was different...hard ...cold.. Falling down off your bed is terrible ...!!! 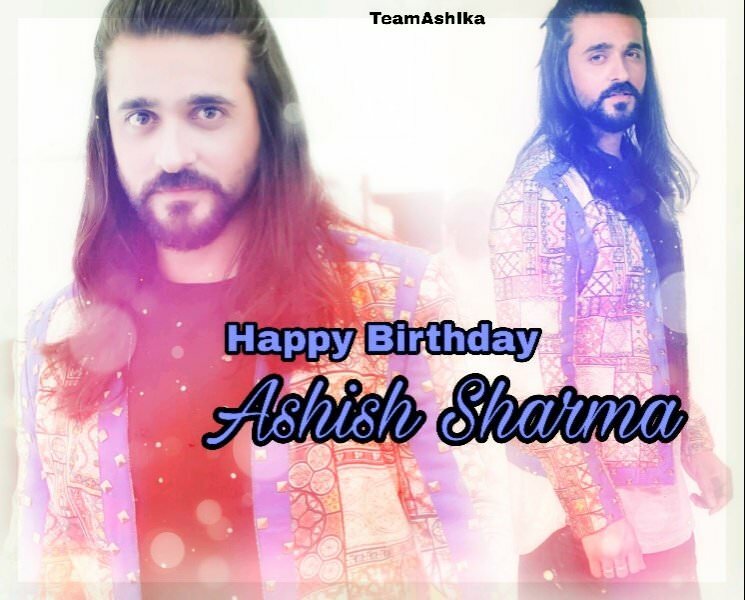 Many many happy returns of the day Ashish Sharma. You are one of the most versatile and finest actor of ITV and above all a lovely human being. This birthday, I wish you abundant happiness and love both in personal and professional life. Keep growing and raising your bar higher and higher as you have been doing till now. Wish you get all the success that you rightfully deserve. Once again Happy Birthday! Wish you a very happy birthday Ashish!!! On this day 34 years ago a kindred spirit took birth who went to spread happiness to the hearts of many. I want you to achieve everything you desire with and be showered with happiness on not one but each and every day of every year.This day has become all the more special coz of you and may your smile which won several hearts stay intact forever.The warmth and gentleness of your eyes reflects in the people who are acquainted with you.All my prayers are with you.May the branches of your success spread far and wide and, may your roots remain strong forever so that you remain unshakeable. I have learnt a lot from you.Always remain like this and never change. That what I believe and this my favorite quote..
And that what you do n your aim is bring smile n happiness on the face. 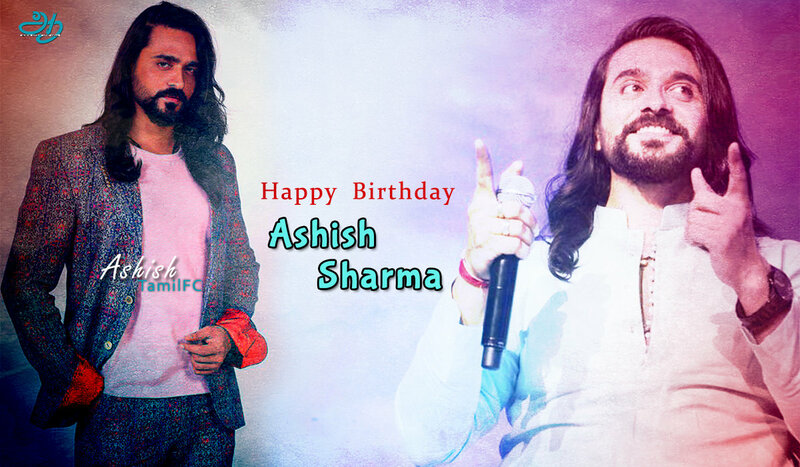 Thank you for being as you are .. A person full of humanity and inspiring to us in many side..
" Wish you a very happy birthday Ashish, the most finest and committed actor, humble and down to earth person I've ever known. On this special day, I wish for all of your dreams to come true may your path be paved with success and you be blessed with never ending bliss.. Keep shining!! " Wish you a very Happy Birthday Ashish. May all your dreams come true. Sending you smiles for every moment of your special day...Have a wonderful birthday. Living & Loving Be with You &#Archana&YrBachhas&JoyHappiness with Yr Family& Friends.. 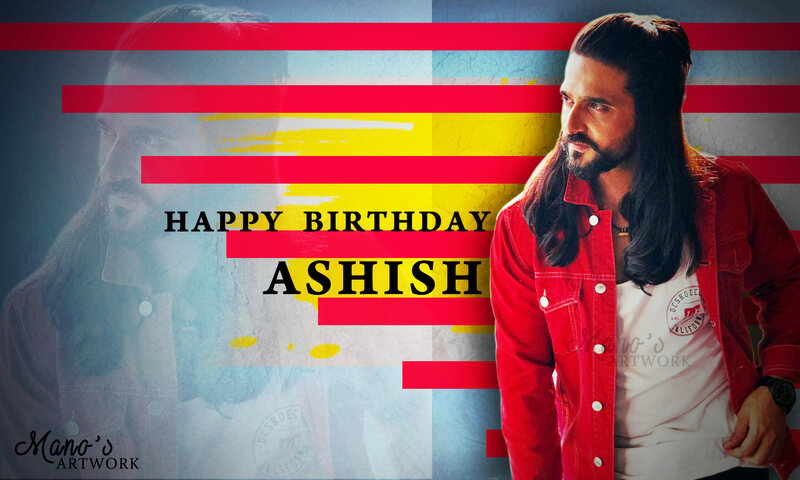 Many ManyHappiee returns of the day Ashish!!! May God shower you with lots and lots of health, wealth, happiness, blessings, success and prosperity always and forever!.. May your day be filled with enjoyment and joy..
Once again wish you a very veryvery happy happyhappywala birthday!! AS have a blast this year on your birthday!!! You are the best thing to have happened to me!! You are a rare gem whose radiance is slowly being revealed to the world.You add a spark to my life,you put a twinkle in my eyes, you put a swing in my gait.Your screen presence is intoxicating. Your brilliance on screen is unmatched.Your sweet smile and your humility adds to your charm.As a fan I am greedy and want you on my screen asap.Continue being what you are,always.Just remember how much you mean to us ! May all your wishes be fulfilled,I wish you everlasting joy and happiness on your thirty fourth birthday!! Happy Birthday ...May this day bring all the happiness and joy u can receive.